As can be ould get under way at the House of Representatives. As you can see below, they are already planning the first casino in “the largest country in the world“, at the triple border around the Iguazu Falls. We have news that plans are already in motion in Brazil to restart gaming, with conferences, expos, consultancies, slots manufacturing, etc., etc., and we will surely be reporting all this and almost every day in the www.casinocompendium.com newsletters. This editorial goes to press a few days before the ICE Totally Gaming 2015, which has created the gaming city of the future – Technopolis – in London, so in this issue, we still look forward to everything new in gaming this year. This great show will bring together global industry leaders and we will be welcoming to our Casino International and C.I. Americano booths more Brazilian businessmen than usual. It’s just that this gaming business never stops! With great affection we will give a special welcome at ICE 2015 to our dear friend Carlos Cardama, creator and director of Games Magazine, who surely will bring us the latest news from both Paraguay, where he was called by operators in that country for consultation on South American and Brazilian gaming, and above all the very, very latest news from Sao Paolo with everything on the new casinos legislation in Brazil. We will let you know all about this and those who wish to know more are invited to come by our stand at ICE to learn all this first hand. From London we’ll pack our bags in search of the warmth of the beautiful beaches South of Lima to attend the special presentation of a legendary Trio at Casino Atlantic City, in beautiful Miraflores. See you all there! There has been very quick response to news of casino legislation approval by Brazil’s Special Senate Commission of National development (CEDN) last December, when the second vote was overwhelmingly passed in favour of the white paper, Bill (PLS) 186/2014 to regulate gaming operations in Brazil. First off the mark comes State of Paraná in Brazil’s Southern Region, where local businessmen in Ciudad do Foz, are making plans to develop a casino in this tourist destination by the Iguazu Falls. To date there are two casinos operating in two of the three adjoining countries by the legendary Iguazu Falls, and indeed at least one casino will be built in Ciudad de Foz, as the proposed gaming legislation in Brazil provides for three casinos for each federal State in this great South American country. 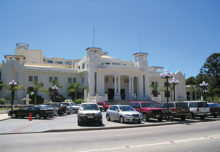 In a public meeting attended by representatives of social organizations such as the Confederation of Retirees, Community Trade Union Confederations, and other social organizations, Autoridad de Juegos, Bolivia’s gaming regulators, presented full Management Accounts for 2015, at hotel Presidente in La Paz. Mario Cazon, AJ Executive Director made reference to 175 interventions carried out throughout the nation on illegal casinos and gambling places with the confiscation of 1,067 slot machines or gaming instruments. On the matter of gaming business promotions, Cazon said that in 2015, there had been a total of 773 personal and business requests with the approval of 697, which complied with the requirements set up by the regulators. Total amount of prizes awarded in such promotions reached $17.5 million, with tax receipts at $1.75 million. Cazón also said that there were 9 regulatory resolutions issued during 2015 for lottery, gambling, sweepstakes and gaming business promotions in order to generate and strengthen the regulatory legislation in the country and to improve the standard of gaming. 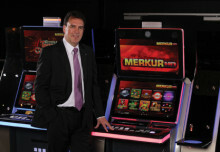 Panama’s gaming regulators, Junta de Control de Juegos (JCJ), has reported that the State received US$82. 2 million in gaming tax revenue in 2015. Compared to the previous year, gaming receipts showed a significant drop, when JCJ reported revenue of US$$96.1 million for 2014, a fall of US$13.8 million, or 14.4% for 2015. The heavy casualties are in the Class III slots and casino revenue. However, although small in numbers, greyhound betting registered highest, grossing US$963.389 in 2015, compared to US$ 446.858 in 2014. Another segment which increased revenue was bingo with US$117.607, a slight increase on 2014 numbers at US$116.938. Peru’s Superintendencia de Banca Seguros y AFP (SBS), has published draft legislation to prevent money laundering in casinos and slots businesses that complies with ministerial preventions in the gambling industry and follows Ministerial Resolution No. 063-2009-MINCETUR/DM, approved by directive N ° 001-2009-MINCETUR/DM, “Standards for the prevention of money laundering and financing of terrorism, applicable to companies exploiting casino games and slot machines”. Salient points of the document state that any bet by an amount equal to or greater than US$2,500 must be recorded in the gambling business’s register of operations (RO). For this purpose, such businesses could set even lower thresholds to register such operations. Suspect cash movements, regardless of the amounts involved, should be recorded in the record of suspicious transactions (ROS) and reported to the FIU within the next 15 working days of the event. In addition the establishment must keep a record of prize winners (Regap), naming the person who wins the prize or money, the day of the draw and the award received. The gaming establishment must retain all information for a period not less than five years. The SBS standard will go into effect on the 1st of April of this year.